Melisa Bonetti, Mezzo-soprano, is currently a Dayton Opera Artist in Residence during which she will make her Dayton Opera Mainstage debut as Emilia in Otello, and is also doing two different in-school outreach tours; Shakespeare Sings & Cooking up an Opera. 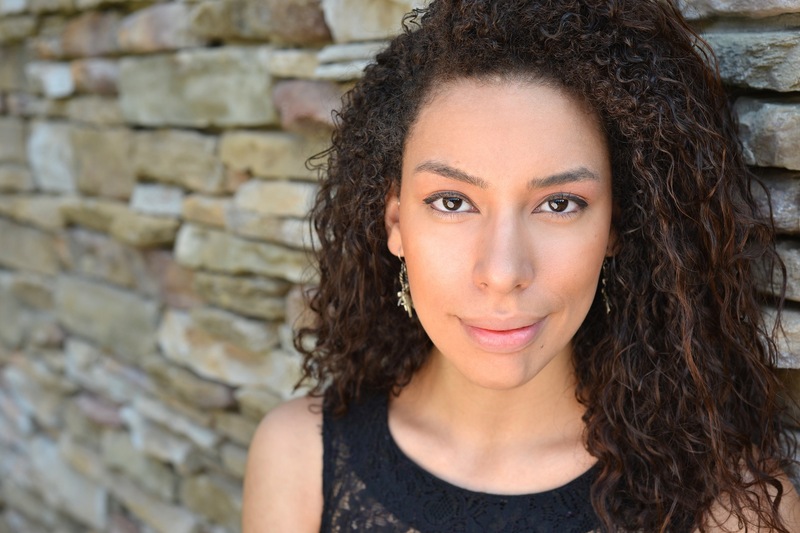 Melisa is very passionate about outreach and arts education and has also been in Cincinnati Opera’s Outreach tour Carmen Redux & is currently in their OperaCadabra! production for kids at the Arnoff Center. During her work with Kentucky Opera, Melisa also did an outreach tour on American History; The Battlecry of Freedom. Outside of her outreach work, Melisa has been working with several companies in their mainstage shows! After heavily enjoying her time as a young artist with the Des Moines Metro Opera 2015 summer festival in which she played the role of Isabela in Catan’s La Hija de Rappaccini, “Melisa Bonetti commanded a wonderful presence in the lower middle voice but also easily soared heavenward with a well-schooled top” – Opera Today, Ms. Bonetti will return to sing with the company this Summer in the roles of Maddalena and Scribe in Glass’ Galileo Galilei. After a full season with Kentucky Opera last year, Melisa returned earlier this season to sing Marcellina for their Nozze di Figaro concert tour. During her work with Kentucky Opera last year Ms. Bonetti performed Lorca Ainadamar, a production with the Lexington Philharmonic, Clare in Daron Hagen’s new work, A Woman in Morocco, Flora La Traviata, Wowkle La Fanciulla del West, & Mexican Flower Woman Streetcar Named Desire. Since completing her Master’s in voice at the Cincinnati Conservatory of Music, she has also worked with the Dayton Philharmonic, Opera Columbus, Cincinnati Opera Outreach and Chorus, and the Queens Symphony Orchestra. During her summer’s as a Master’s student she participated in the Wolf Trap Opera studio artist program in which she covered Mother Goose and Baba the Turk The Rake’s Progress, as well as in I Sing Beijing as a young artist. She completed her undergraduate degree at Queens College’s Aaron Copland School of Music in New York. Melisa was also fortunate enough to attend LaGuardia High School for the Arts as a vocal major. Other roles include Emelda Champion, Maddalena Rigoletto, Lady with the Hat Box Postcard from Morocco, Zweite Dame Die Zauberflöte, and the Old Lady Candide. Concert performances include Messiah, El Amor Brujo, Britten’s Spring Symphony, Mahler’s Symphony No. 2, Beethoven’s Missa Solemnis, Mozart’s Requiem, Mozart’s Coronation Mass, the Vivaldi Gloria and Bernstein’s Jeremiah Symphony No.1.